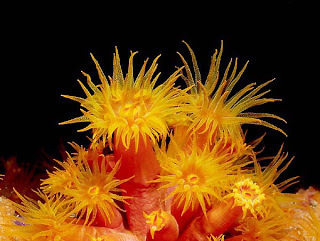 Animal Wildlife | Coral | It may shock you to know that the hole-filled rock like substance, known as coral, is actually an animal and a vital part of the marine world. Coral is a similar animal species to the sea anemone and almost appears to be half animal and half plant when you look into what coral does. 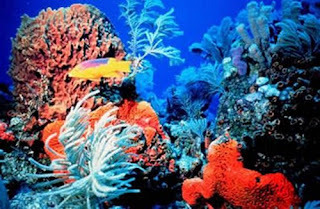 There are thought to be around 70,000 different species of coral that are found throughout the oceans of the world but are in abundance in the southern hemisphere due to the warm and tropical climates. 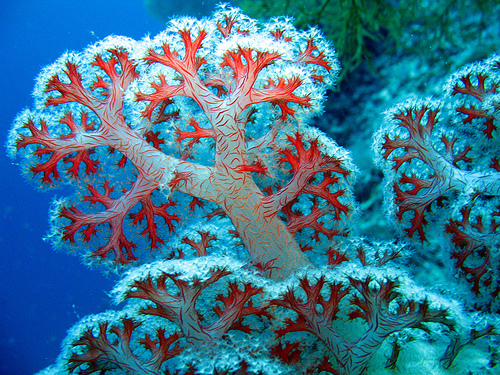 Coral species are generally divided into two subspecies, depending on how many tentacles the coral individual has. 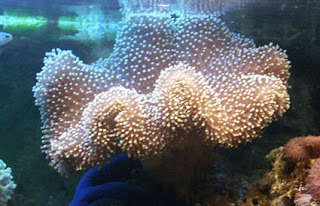 Those coral species with eight tentacles are known as Alcyonaria, which includes soft coral, sea fans and sea pens. Those coral species with more than eight tentacles are known as Zoantharia, which includes the coral species that are found in coral reefs. The coral catches small fish and animals such as plankton using stinging cells on their tentacles, although these animals obtain most of their nutrients from algae. This means that most corals depend on sunlight and grow in clear and shallow water, typically at depths shallower than 60 m (200 ft). There are however a number of coral species that have adapted to inhabiting the oceans at depths of up to 3000 m.
Corals can live from 3 months to 30 years depending on the individual coral species and the role it plays within the ecosystem. For example, those coral species that make up the extensive coral reefs (like the Great Barrier Reef in Australia that stretches for over 1,600 miles in length) tend to live alot longer than those species which are found on their own, like the softer corals. Coral reefs in particular play an enormous part on maintaining such a high diversity of life in the worlds oceans as they not only provide excellent places for marine animals to hide from oncoming predators, but also act as a meeting and breeding ground for literally thousands of species of animals, particularly fish. It has been predicted by scientists that over 50% of the worlds coral formations will have disappeared by the year 2030, and surprisingly not just due to growing human activity such as fishing and diving. 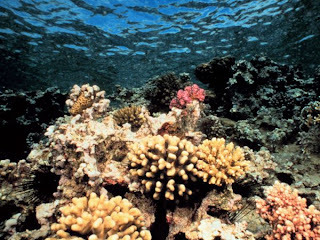 Natural disasters such as earthquakes and tsunamis can have a devastating effect on the coral in that area. The 2004 tsunami in south east Asia completely obliterated everything in its path, destroyed hundreds of ancient coral reefs in these tropical waters. Many species of coral, such as the staghorn coral (a hard species of coral that branches out to look like deer antlers), are today classed as an endangered species due to the severe decrease in the corals range.